Join me and my friend Ruth, our guest designer, as we befriend Anne Elliot. 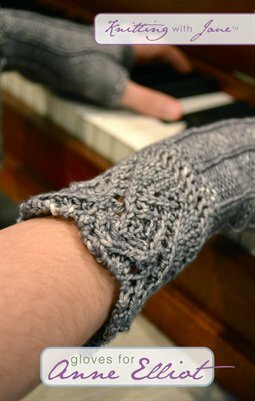 We like to think that as she played the pianoforte, she would have worn these gloves. And then as she read Wentworth’s letter… Or as they went on their walk and finally spoke of all the things that had kept them apart those many years.